CAAM is pleased to partner with The Global Film Initiative (GFI) to present Global Lens @ Great Star Theater, an event of GFI’s Arthouse Revival program, a screening of three award-winning Chinese films from the Global Lens Collection on Saturday, December 1st at the historic Great Star Theater. The featured films include Director Peng Tao’s third feature, THE CREMATOR (AKA FEN SHI REN), GETTING HOME (LUO YE GUI GEN) by Director Yang Zhang, and STOLEN LIFE (SHEN SI JIE) by Director Li Shaohong. Arthouse Revival is a project designed to support the revival of independent arthouse cinema nationwide through dynamic presentations of the critically-acclaimed Global Lens film series at iconic theaters such as the Great Star – a 500-seat landmark theater and opera-house credited with introducing Hong Kong cinema to the U.S. in the mid-1960s. 11/27: Check out this article from KQED’s Jonathan Curiel on why you should check out Global Lens @ Great Star! Thank you to our community partners The 1990 Institute, Asian Pacific Islander Cultural Center, AsianWeek Foundation, Asian Improv aRts, Chinese for Affirmative Action, Chinese Historical Society of America, Kearny Street Workshop, Lenora Lee Dance, The Red Lantern: Bay Area Cinephiles meetup group, and RAMA, for helping us spread the word about this event! For more information and tickets, email info@caamedia.org. Tickets are also available for purchase on Saturday, December 1st at the Great Star Theater 20 minutes prior to the start of the films. Cash and check only please. 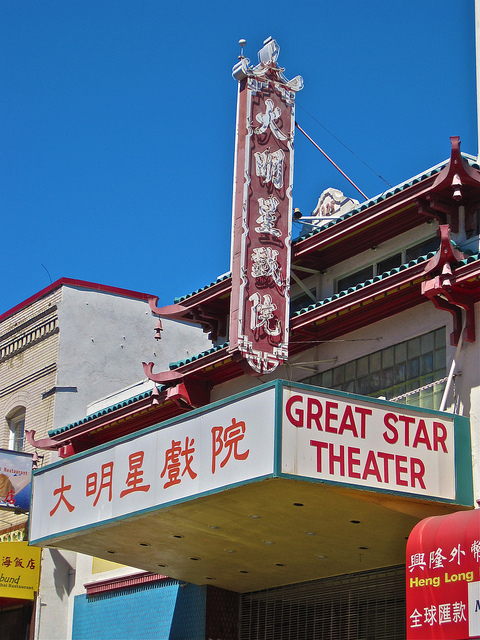 Images (from left to right): Great Star Theater and still from the film THE CREMATOR (AKA FEN SHI REN). Download the English version of the Global Lens @ Great Star Theater flyer (pdf) and the Chinese version of the Global Lens @ Great Star Theater flyer (pdf). 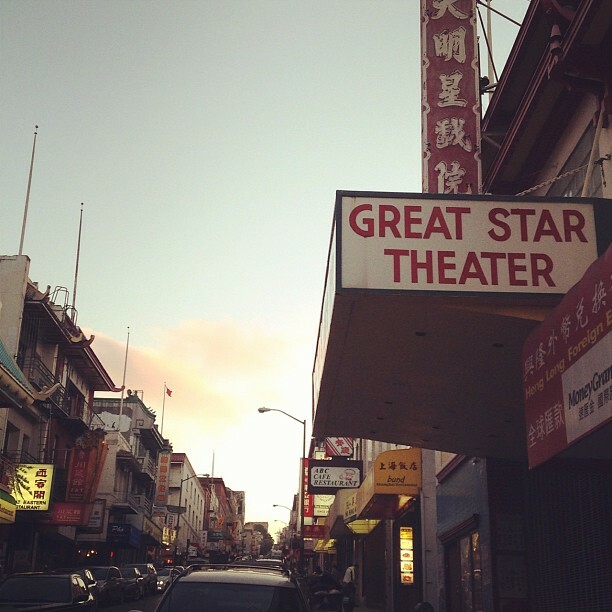 CAAMFest Films at the Great Star Theater in Chinatown!